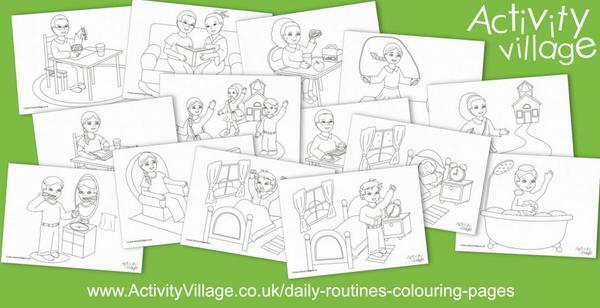 We've added over 60 of our popular "Colouring Quotes" over the last year or so, 2 a week, and I think it is time for a pause - so that mean's that this week's two lovely pages will be the last for a while. 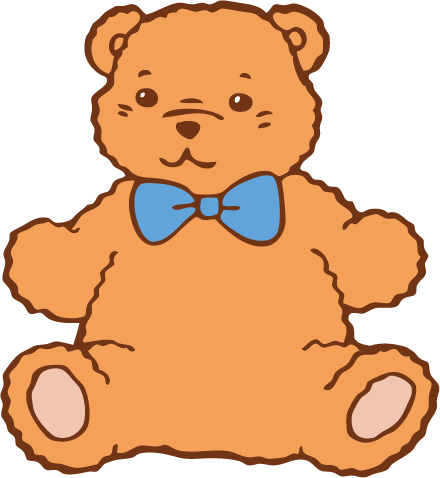 But don't worry, we've got a new colouring activity starting next week (also suitable for older children and adults) that I think you are going to love. Keep an eye out! What happens when your Membership year is up? We don't renew automatically but we dosend an email alerting you when your year expires. After expiry, simply log in to the website and you will find a link to our payment page. 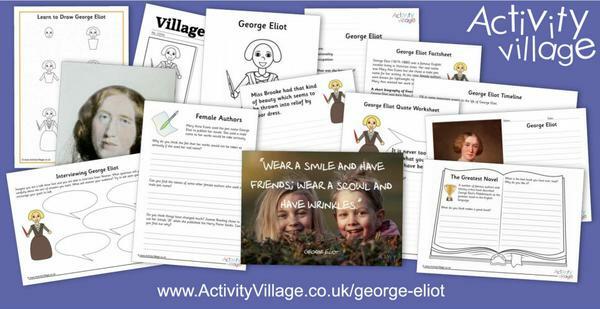 Our "famous person" this week is the well-loved and much admired female author Mary Ann Evans, who is of course always known by her pen name, George Eliot. 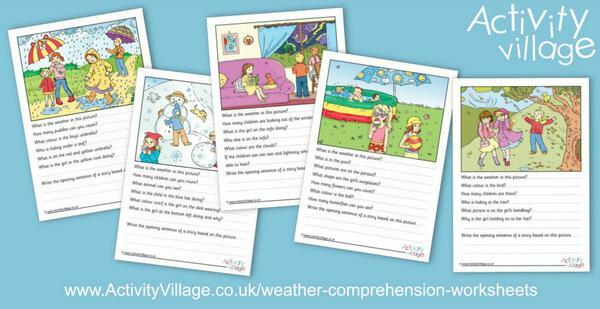 We've launched a new Weather Vocabulary and Spellings collection this week, packed full of various flash cards, word cards, worksheets, spelling jigsaws, puzzles and more. 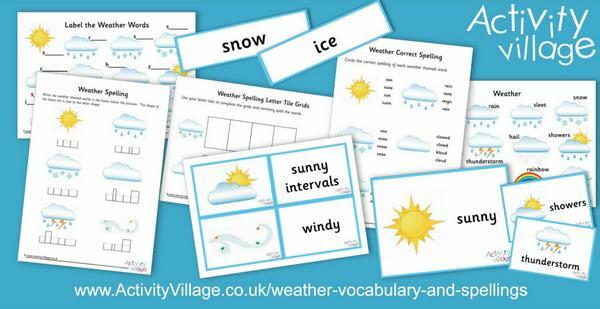 Our new Weather Word Puzzles are great for vocabulary extension and logic skills - and of course they are fun! 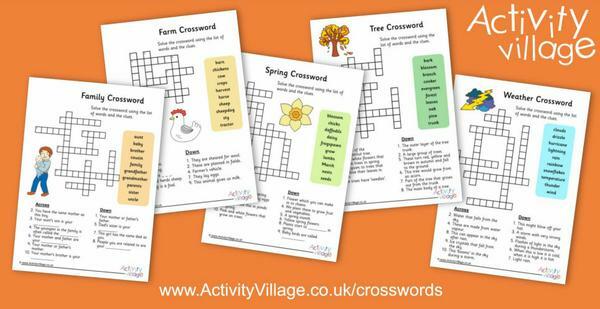 We've published five new guided crosswords (with word bank for children to choose from) on family, weather, spring, farm and trees. 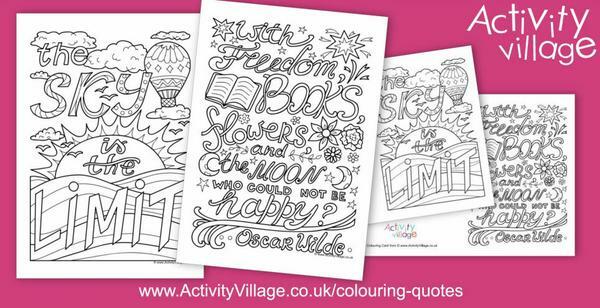 This week's lovely new Colouring Quotes are perfect for older children and adults and offer some inspiration to absorb as you colour. 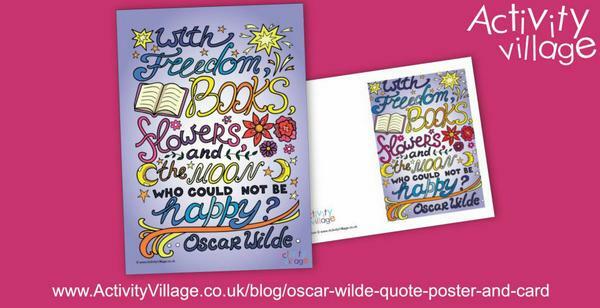 Because I love this particular quote and colouring page so much, I asked Tatyana do make us a pre-coloured version to use as a greetings card and poster. 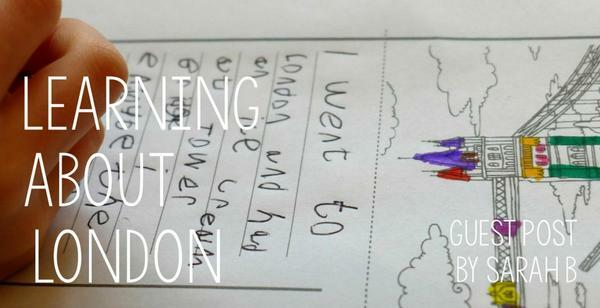 In our Guest Post this week, Sarah B tells us how she followed up a visit to London with the family with some fun learning and crafty activities. 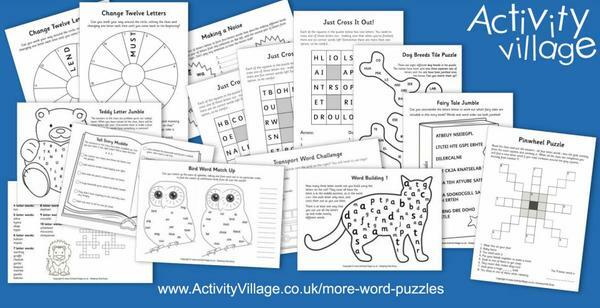 Have you seen this assortment of word puzzles? 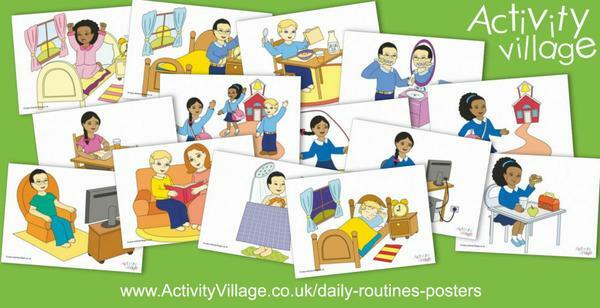 We've got so many puzzles on the website now, mostly sorted into collections. 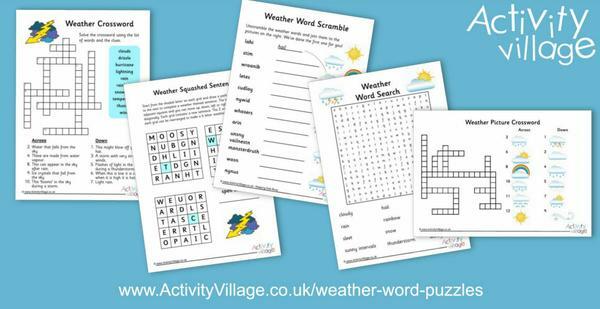 But sometimes we do a one-off puzzle for a theme, or test a new puzzle a few times - and if they are word based they end up here in our More Word Puzzles section! One of my favourite "read aloud" poems! * We are still showing a small number of ads on our Search Results page and will be doing so until we find an alternative search solution which works as well as the existing search facility. * * If you would be interested in Guest Posting for us, please reply to this email and tell me a little about yourself, together with an idea for your first post.